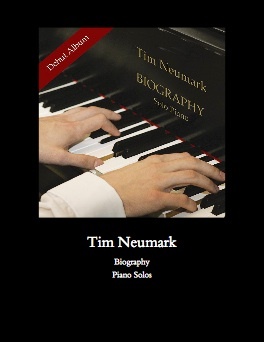 The Biography songbook is the companion sheet music book to Tim Neumark’s debut CD by the same name and contains all eleven original compositions from that recording (Tim was unable to print his arrangement of “Diamond Music” because of copyright restrictions, so that piece is not included). It is important to note that this version of the book has been completely redone. 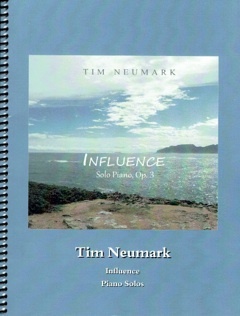 The revised version is a note-for-note match to the recording (with a couple of small changes that reflect how Tim plays the songs now and are clearly indicated in his “Notes From the Composer” at the back of the book). It includes more accurate dynamic markings, better use of bass and treble staff changes to improve readability and avoid excess ledger lines, and phrase markings to guide the performer. 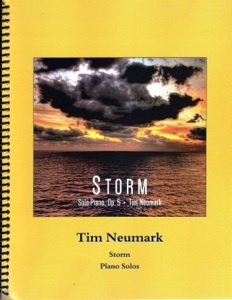 The notation is roomy and clear, and most pianists at an upper-intermediate playing level should have no problem mastering these songs. 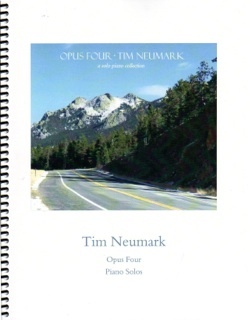 None of them are composed in difficult keys, and the timing is generally very straight-forward (a few triplets here and there, but nothing too exotic). Most of the pieces have left hand eighth-note patterns that are easy to follow and count, and the right hand is made up of mostly single notes and intervals - not a lot of chords. The melodies are lovely, and pieces range from slow and leisurely to quite lively and upbeat - all of them are a pleasure to play. Highly recommended!